Bluegrass Pundit: Harry Reid has only been to Nevada 11 times in the last three years? 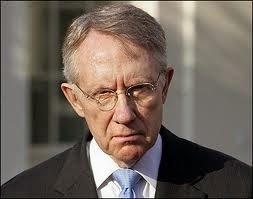 Harry Reid has only been to Nevada 11 times in the last three years? According to Senate disbursement records, Harry Reid (D-Nev.) almost never goes home. He has visited his home state the least of any senator in the last three years. Sen. Dianne Feinstein (D-Calif.), and Sen. Tim Johnson (D-S.D.) rount out the top three who are too busy to visit with the little people. The Democratic senator almost never visits his home state of Nevada, according to a new analysis. Reid has visited Nevada only 11 times in the last three years, the Washington Examiner reported Wednesday after conducting a review of senators’ home state trips based on Senate disbursement records. A Reid representative did not immediately respond to a request from The News seeing comment, but the senator’s office did refute the report to the Examiner, claiming the Nevadan has gone home “over 100%” more than the numbers cited in the review.